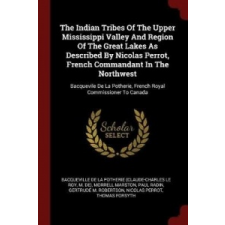 Van véleményed az Indian Tribes of the Upper Mississippi Valley and Region of the Great Lakes as Described by Nicolas Perrot, French Commandant in the Northwest – BACQUEVILLE DE LA PO termékről? Értékeld! Tedd fel kérdésed a(z) Indian Tribes of the Upper Mississippi Valley and Region of the Great Lakes as Described by Nicolas Perrot, French Commandant in the Northwest – BACQUEVILLE DE LA PO termékről!